Found primarily in Chile and thinly in bordering parts of Argentina, with others located on the islands of Chiloé and Guaitecas, this elusive and endearing little cat is the smallest felid in the New World, and with the smallest known distribution. Known also as the guiña or Chilean cat, and roughly the size of an average domestic cat, the extremely rare kodkod is very similar in appearance to Geoffroy’s cat. The kodkods’ diminutive size may have spared them the horror of being hunted for their fur, but, as fate would have it, they tend to get caught in traps laid for foxes, ultimately causing the same sad death. Occasionally their pelts have been seen in markets, but it is not a common occurrence. Farmers, however, have considered kodkods as pests in the past and thus killed them. This opinion was not entirely without foundation as kodkods have always had a penchant for chicken meat and are still known to occasionally prey on domestic stocks, the farmer’s livelihood. Such persecution has been partially ameliorated with research and education, though some humans still remain a threat, as do the kodkods to the poultry, of course. The studies of Dr. Elke Schüttler show the kodkod does not feature heavily in Mapuche legend and it has been possible to ascertain that the people of the Araucaría region are coming to value ecotourism. Children in schools were also found to have a positive attitude towards the little cats. All of which bodes well for the few remaining kodkods. But, by far the biggest threat to the kodkods is the wanton destruction of their habitat and prey base. Due to logging, the over planting of pine plantations and human settlement, the kodkods are now confined to a narrow mainland coastal strip of mixed forest, with a few more populations on the nearby islands. Although, they are tolerant of altered habitats and can be found in secondary forest and shrub and near cultivated areas, as well as the forests they prefer. In particular they favour Valdivian and Araucaria forests, where there is a notable presence of bamboo in the understory. Kodkods have bushy tails, small heads, relatively large, round ears, short legs and large feet and claws for climbing. They can measure up to a length of thirty inches from the top of the head to the tip of the tail. and weigh as much as six-and-a-half pounds. Their beautiful coats are yellowish-brown to greyish-brown on top and covered with dark spots. This affords incredible camouflage. The underside is pale and the tail is ringed. They have very distinctive facial markings around the nose and eyes. Melanistic kodkods are not unusual. Largely arboreal, kodkods are also superb climbers. They are active both day and night but only expose themselves to open areas under cover of darkness. They spend their days well-hidden in dense vegetation and other parts of the forest offering heavy cover. Very little is known about the breeding habitats of the species. They are rarely seen and none are kept in captivity. Available information suggests there is a gestation period of up to seventy-eight days after which a litter of one to three cubs will be born. There is some suggestion kodkods may be polygamous. As with other cats, parental care will probably fall to the mother, who may also teach them to hunt. The cubs will reach maturity at about two years of age and can expect to live for roughly eleven years. Kodkod is the Araucanian Indian name for this felid of which there are two subspecies: Leopardus guigna guigna, which can be found in Southern Chile and Argentina, and Leopardus guigna tigrillo, which inhabits the forests of Central Chile. Argentina and Chile. It can also found on the Isla de Chiloé and the Isla Grand Guaiteca off the southern coast of Chile. Small mammals, especially rodents; reptiles, birds and insects. Habitat loss with much of their native habitat being cut down and replaced with pine plantations, agriculture and human settlement. Persecution; kodkods have occasionally been killed when seen raiding chicken coops. Humans and their dogs are the only known predators of kodkods. They are often caught in traps set for foxes. The kodkod (Leopardus guiana) is listed on the IUCN Red List of Threatened Species as Vulnerable (at high risk of endangerment in the wild). 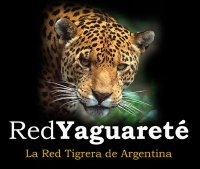 It is also included on Appendix II of CITES and protected by law in Chile and Argentina. There are various conservation plans in action including involving local people in field projects and visiting local schools. There are currently no captive kodkods in zoos. When celebrating Worldwide Fur Free Friday, I felt I could not possibly ignore the plight of the long-tailed chinchilla. This little animal has become critically endangered because of man’s actions; a sordid story which can only serve to illustrate, once more, how man’s narcissism and greed has allowed him to put himself before the needs, and, even the most basic rights of, innocent, defenceless beings. Today there are multitudes of chinchillas kept in captivity, either for the pet trade, for research (specifically the auditory system), or for the fur trade. And, all three are prospering. The fur trade, undoubtedly, being the most despicable of these. All wild chinchilla species are listed in Appendix 1 of CITES. But, since these captive animals are considered domesticated, they are not protected by CITES provisions (a fact pointed out with tedious regularity by those selling furs on eBay). Furriers and farmers can, therefore, keep breeding, butchering and promoting the wearing of chinchilla as much as they wish. Many, with more money than conscience and compassion, can’t wait to adorn themselves in the poor creatures’ fur; so there is a very willing market waiting in the wings. A market which would far rather wear the chinchilla’s coat as a status symbol or fashion statement than see the rightful owner wearing it as a natural layer (or, one hundred and fifty rightful owners to be precise – that’s how many tiny chinchillas it takes to make a full-length coat). A coat can cost anything between ten thousand and one hundred thousand dollars, so it’s highly profitable. Apart from depriving these little creatures of a normal life, what desperately needs to be remembered is that there is no easy, pain-free way to skin an animal alive! They are not shearing sheep here! But, these particular animals have not all been taken from the wild. At least not directly. They are farmed from stock stolen from their natural habitat, mostly in times past. The international trade in chinchilla fur began in the 16th century. However, the chinchillas we see today are almost all descended from chinchillas taken from Chile in the 1800s and early 1900s. This was the cause of depletion, and, sadly, despite efforts, this depletion was so severe, the species has been unable to recover. In two centuries, of vanity and greed, over twenty-one million chinchillas have been taken from their homes; over seven million of these were exported between 1828 and 1916. At one stage they were being shipped from Chile at a rate five hundred thousand per annum. The devastation to the species was unimaginable. In 1918, the government of Chile, (along with those of Peru and Bolivia) declared the trapping of animals and exportation of pelts illegal; ­ but, it was all too little, too late. Needless to say, this activity did not cease then, and has still not ceased today. Poaching in Chile persists. But, possibly due to much smaller populations now, they are not being taken in such large numbers. Originally, chinchilla populations flourished within their range. Now, it is the trade in the animals which thrives, as their pelts continue to be found amongst the most valuable in the world. As a result, these endearing little rodents are now facing extinction in the wild. Chinchillas are small, just slightly larger than ground squirrels. They have strong legs and can leap around in a very agile manner. They have bushy tails, and soft, silky dense fur. As many as sixty hairs grow from one follicle. The fur was designed by nature to insulate the species against the cold of the barren mountain regions it inhabits. Chinchillas sit upright on their hind legs to eat, grasping their food in their front paws. They are social animals living in colonies of up to one hundred individuals (you can see by this how easy it must have been to capture them in large numbers). These colonies are properly referred to as herds, so named by the first fur farmers who treated them as livestock. And, just to add to that trivia; a female is called a velvet or sow, and a male is called either a bull or a boar. Chinchillas are crepuscular and nocturnal, though they have been seen in broad daylight foraging for food. They sleep or rest in rock crevices and holes. They are expected to live up to ten years in the wild, but, can live to as much as twenty years in captivity. Breeding takes place during May and November. The female will give birth to two litters a year. The average gestation period lasts one hundred and eleven days, after which, a litter of between one to three babies (known as kits) will be born. Kits are precocial at birth (fully furred and with eyes open) and weigh about thirty-five grams. They are usually weaned by sixty days. Barren, arid, rocky or sandy mountainous areas. Plant leaves (mostly of the cactus family), fruits, seeds, and small insects. Human activities; mainly poaching, followed by grazing of livestock, mining and firewood extraction. Their natural predators include birds of prey, skunks, cats, snakes and dogs. The long-tailed chinchilla (Chinchilla lanigera) is listed on the IUCN Red List of Threatened Species as Critically Endangered. The Convention on International Trade of Endangered Species of Wild Fauna and Flora (CITES) lists all chinchilla species in Appendix 1, making international trade in the animals or their skins illegal among participating nations. Frighteningly, there are only 10,000 individuals thought to be left in the wild. There have been attempts to reintroduce chinchillas to the wild, but these have been markedly unsuccessful. A great deal more could be done to monitor hunting in the remote mountain ranges of the Andes. However, this has proven to be a difficult place to patrol leaving the chinchillas vulnerable. Regrettably, the magnificent tiger has been exploited for body parts and skins for centuries, and the Malayan tiger is no exception. Much is done in many countries to try and save tigers from extinction. In Thailand, the home of the Malayan tiger, there are 20,000 forest rangers employed to protect all wildlife, but this is becoming an increasingly dangerous occupation. In September 2013, two rangers were fired upon by five poachers they had tracked to the Umphang Wildlife Sanctuary in northern Thailand. On their way, the poachers had poisoned various animals, which the rangers suspected had been left behind as tiger bait (although, it is known they were hunting for various species). Four of the rangers were shot in the incident, and two later died. To add to the tragedy of the deaths of the rangers, when shots were exchanged, shockingly, the hunters were seen to be armed with AK-47 and carbine automatic rifles. This does not imply poaching for subsistence food. Instead, it smites heavily of terrorist activity. Sadly, these incidents have become commonplace across Asia. In the past four years, forty-two forest rangers have been killed on duty in Thailand alone. These poorly paid, hard-working, dedicated rangers could do with a lot more support from the rest of the world as well as their own people. A large part of the market for body parts and skins is created by the demand of middle class Asian consumers, in particular the fast-growing middle classes of China (many of whom think elephants shed their tusks naturally), and it is not slowing down. The demand for young animals as pets and exhibits has also become huge. But, more often, it is terrorism which benefits most from these killings and live trade. The trade in illegal wildlife, dead or alive, is now worth an estimated nineteen billion dollars a year. Under such adverse circumstances, it seems only matter of time before the beautiful Malayan tiger, like so many other species, is lost to this world forever. Slightly smaller than their Indian counterparts, female Malayan tigers can reach an average of seven feet ten inches in length, and males as much as eight feet six inches. They can stand at anything between two and four feet high at the shoulder and weigh between one hundred and four pounds and two hundred and eighty-four pounds. The tiger’s orange, black and white striped coat is designed as camouflage in the forest or long grass. It has huge front paws with five retractable claws on each. It has incredibly powerful jaws housing large canines with which it is able to grab its prey and suffocate it. In fact, in favourable circumstances it would have a more than fair chance of defending itself against its human predators. Not always successful in every attack, one in twenty seems to be the kill rate, tigers can eat up to eighty pounds of meat in one feeding session. The rest they will cover and come back to later, having already marked their territory with deep claw marks on trees. There is no specific breeding season for tigers. It is an all-year-round event which is followed by a gestation period of roughly fourteen weeks. Females birth in deep grass hollows or caves. Normally, a litter will consist of three cubs weighing about three pounds each. They will stay with their mother for the first eighteen months to two years of their lives, in which time they will be taught all they need to equip them for a life of independence. Tropical forests, grasslands, and subtropical moist broadleaf forests. The southern tip of Thailand and the Malaysian Peninsular. Deer, wild boar, sun bears and occasional livestock. Habitat destruction due to logging operations and development of roads for the same, and conversion of forests to agriculture or commercial plantations. Poaching for skins and Traditional Chinese medicine, and human conflict. An ever-diminishing prey base. The Malayan Tiger (Panthera tigris ssp. jacksoni) is listed on the IUCN Red List of Threatened Species as Endangered. It is also listed on CITES: Appendix I. Only five hundred or so Malayan tigers are still thought to exist in the wild. Many are kept in captivity around the world. In the wild, most live outside protected areas. Various agencies are addressing the issue of the Malayan tiger. The World Wide Fund for Nature, for example, has initiated programs focusing on raising awareness, education and the reduction of human conflict. Thousands come together for the Malayan Tiger! Endemic to Brazil, the Ka’apor Capuchin (Cebus kaapori) is a recently discovered member of the Cebidae family of monkeys. Targeted by hunters and having suffered from devastating habitat loss, the species has become one of the most threatened primates in the largest rainforest on Earth; living in a region with the highest level of deforestation and habitat degradation in the entire Brazilian Amazon. There are now very few Ka’apors left in the wild. Capuchin monkeys are among the most recognisable types of monkey on the planet. These irrepressible and highly intelligent little primates have been trapped and captured for centuries, and used for man’s entertainment and amusement by organ grinders and exotic pet seekers. Consequently, there are more Capuchin monkeys in captivity in the world than any other species. For most, this means a life of isolation, anguish and gloom, and often they do not live long. But, some are lucky, and happy Capuchins are known to be very talkative, incurably curious, highly intelligent and extremely mischievous. Ka’apor Capuchins are also hunted mercilessly for bush-meat. The Ka’apor species lacks the tuft of hair on its head which most others Capuchins have. They have semi-prehensile tails, short fingers and opposable thumbs. They also possess perfectly adapted large, square premolars with dense enamel to aid nut-cracking. Brown-tufted Capuchins have been observed using tools for this purpose. Having developed an anvil system, they were able to crack open hard-shelled nuts using large rocks. Aside from man and the apes, the Capuchins are the only other primates known to do this. Adult coats of the Ka’apor are grey to reddish-brown on the back and outer limbs. Heads and shoulders are creamy-white to silver-grey, with a black triangular cap on the head, and faces are bare and pink in colour, as are the ears. Hands and feet are blackish. The species is sexually dimorphic and weighs an average of six and a half pounds. Adult Capuchins stand almost eighteen inches tall and have a tail which is roughly twenty inches long. Ka’apor Capuchin monkeys are both arboreal and quadrupedal. They can be found in the lower mid-canopy and the understorey, which they move through in on all fours using their semi-prehensile tails whilst feeding. Communication within the species is wide and varied. Capuchins use a whole range of vocal, olfactory and visual communications within their troops. Social grooming is used as a form of bonding. Ka’apors are polygamous and occur in groups of up to fifteen individuals. The breeding season ranges from October to February, followed by an average gestation period of one hundred and sixty days. Females usually give birth to one baby, rarely twins, and will only birth every two to four seasons. Infants cling to the mother’s back for the first three months. By six months, they are becoming more independent and taking solids, and will soon be fully weaned. The Ka’apor Capuchin was only recently elevated to species status. It had been formerly classified as a sub-species of the wedge-capped Capuchin. The Ka’apor Capuchin monkey is named after the Urubu-Ka’apor Indians, who live in the region where the monkey was first discovered. The Ka’apor Capuchin, as with other species of Capuchin, is widely used in laboratory research. The Brazilian states of Pará and Maranhão. Fruits, seeds and arthropods, frogs, nestlings and even small mammals; supplemented by stems, flowers and leaves. Habitat loss due to logging, forest clearance for cattle ranching, and industrial agriculture, and extensive hunting for food. The Guajá, or Awá, Indians in Maranhão, who hunt all primate species within their reserve (and, whose land and lives have also been destroyed by illegal logging) are known to keep orphaned Capuchin and other primates as pets. These small monkeys are also collected for the international illegal pet trade. The Ka’apor capuchin (Cebus kaapori) is listed on the IUCN Red List of Threatened Species as Endangered. It is also protected under Cites Appendix 1 and listed on The World’s 25 Most Endangered Primates 2012-2014. Ka’apors are located in the protected area of the Gurupi Biological Reserve in the State of Maranhão , which was created in 1988. 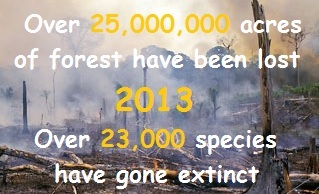 More than half of the reserve’s forest has since been lost due to selective logging. This was particularly prejudicial to the species as trees which provided the fruit Ka’apors favoured, and which made up most of their diet, were lost. The IUCN has documented a drastic decline in numbers of at least 80% over the past three generations. With those outlandish tusks, these wonderful creatures were always destined to be the inspiration for all sorts of fabulous legends. There is no other mammal known to man who sports this headgear. Left alone with few natural predators, elusive and shy, the islanders have been in awe of the babirusa for centuries. In native legend, they are said to use their tusks to hang upside down from trees in the night and sleep. Some say they hook their tusks over low branches to support their heads whilst they sleep, while others say the males hang in the trees to spy on the females! Indonesian people make demonic masks based on the bizarre appearance of this unique curly tusked pig. The Balinese Hindu-era Court of Justice pavilion and the “floating pavilion” of Klungkung palace ruins are famous for the painted babirusa raksasa (grotesques) on the ceilings – the paintings depicting scenes of the horrors awaiting the profoundly immoral and wicked after death. They are only hunted locally for meat by non-Muslim communities. Muslim villagers do not hunt them because of their distant pig connection. “Pigs are haram – considered unclean, forbidden to eat or touch, and best avoided entirely”. Actually, the hippopotamus connection is much stronger, but, nevertheless, the babirusa is still a pig. Bearing all this in mind, and the fact that they have such a lush forest home to forage in, albeit fast disappearing, you would think these shy and retiring creatures would have quite a decent chance of flourishing. But, no! They are very much under threat. Extensive illegal logging is destroying these ancient animals and their ancient forest home. Hunting is rife and they are in demand as zoo exhibits. Togian babirusas are much larger than their cousins, the better-known north Sulawesi babirusa. 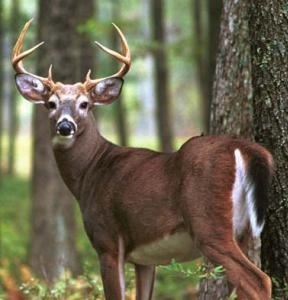 They have a well-developed tail-tuft, and the upper canines of the male are relatively “short, slender, rotated forwards, and always converge”. Babirusas can reach up to over three and a half feet in length and can weigh up to two hundred and twenty pounds. Males tend to be larger than females. They have grey to brown skin, sparsely covered with briskly hair, and long, thin legs. Their snouts are also thin and they have small ears. Tusks come in fours. The tusks can grow up to one foot in length, with the upper canines growing through the upper lip and arching towards the eyes. These tusks grow continuously throughout the animal’s lifetime. If they are not worn down or snapped off they can pierce the skull. The upper tusks of females are of normal size, but, they can be absent altogether. Male babirusa sharpen their lower tusks on trees, but not so the upper curved ones. This may be one of the reasons these become so long and curly; they are simply left to grow. With the tusks sited as they are, barbirusa are unable to root under the dirt for food. Instead they use their hooves to dig for insects and their larva. Babirusas have a superb senses of smell and hearing, both of which are gainfully employed to find food and avoid predators. They are also excellent swimmers and very fleet of foot. They can run as fast as the deer. And, they absolutely love wallowing in the mud. Not only does this cool them off, and its fun, but it rids the babirusas of the parasites and insects which live on their skin. The breeding season ranges from January to August, after which there is a gestation period of one hundred and fifty-eight days. Normally, two piglets will be birthed. The little ones will not be weaned until they are six or eight months old, but their diet will have been enriched with solids, starting ten days after birth. Once thought to be a sub-species of the Babirusa (Babirusa), the Togian Islands Babirusa (Babyrousa togeanensis) is now recognised as a separate species. Of all four species of Babyrousa, Babyrousa togeanensis is the only one listed as endangered. The other three species are all considered vulnerable – at the moment! The name “babirusa” means “pig deer”, referring to the resemblance between the tusks and the antlers of the deer. The average lifespan of babirusas can be as little as ten years in the wild and as much as twenty-four years in captivity. Although they physically resemble pigs, fossil records show them to be in the hippopotamus family. However, as only one fossil has ever been found, there is still some debate about this. Tropical rainforest on riverbanks and ponds, where there is a plentiful supply of aquatic plants. They can also be found in secondary forest, freshwater swamps and beaches. Indonesia: The Togian Archipelago, between the northern and eastern Sulawesi peninsulas. Leaves, roots, fruit, invertebrates and small vertebrates. Habitat loss through forest clearance and forest fires. Human disruption and hunting by local villagers. Hunting for food only occurs in non-Muslim communities. In 1998 almost 70% of the forest was damaged by fire on Malenge Island. No barbirusa carcasses were found and the species have been seen returning to these areas since, but the fire affected their food supply. The Togian Islands Babirusa (Babyrousa togeanensis), is listed on the IUCN Red List of Threatened Species as Endangered. It has also been included on Cites Appendix 1 since 1982. Under Indonesian law, all species of babirusa have been fully protected since 1931. However, hunting remains a significant threat. The Tongian Islands were designated a Marine National Park in 2004. If you have ever been lucky enough to have heard a howler monkey calling in the wild, you will know how it got its name. Arguably one of the loudest animals on the planet, they can be heard up to three miles away through the dense jungle. Alexander von Humboldt said about howler monkeys, “their eyes, voice, and gait are indicative of melancholy”. The howlers in this clip may not be of the sub-species guariba guariba, but the sound is typical of the species in general. And, believe me, this is not something you need to take you by surprise in the dark. The International Union for Conservation of Nature (IUCN) lists most of these sedentary, arboreal howler monkeys (fifteen species) as threatened, due to human activities such as ceaseless hunting for bush meat, and habitat loss and degradation. But, for the most part, the howlers are still fairly plentiful, with the exception of the Mexican howler (Alouatta palliata mexicana – a sub-species of the mantled howler) and today’s highlighted species, the northern brown howler (Alouatta guariba guariba). They have both suffered to the point of being driven to near extinction. Howler monkeys are a large and inexpensive source of protein. One monkey could easily feed a family of four. And, they are slow and docile, which makes them easy prey. Then, there are the usual illegal logging activities and other forms of human encroachment that we see everywhere across the globe. The locations change, but the threats remain the same. Howlers are not only large themselves, but they are also among the largest of the New World monkeys. They range in bodily height from two to three feet. Added to that, they have extremely long, prehensile tails which can measure anything from three feet to an astounding three times the size of the monkey itself. This tail is invaluable to the New World monkeys. They use it to travel through the branches and can wrap it round and swing freely to pluck leaves and fruit with their hands. Another helpful augmentation of the howlers is their incredibly keen sense of smell. They have short stumpy, round noses which can sniff out nourishment (the nostrils have sensory hairs inside) at over two to three miles. Possibly no coincidence that they can be heard that far away as well. A further adaptation is the molars, specially designed to shear through tougher leaves. But, it doesn’t end there. These marvellous monkeys are also blessed with trichromatic colour vision, which is thought to have developed in the species to allow selection of the very best leaves available. One last staggering attribute is, of course, that voice. A combination of large throat with specialised vocal chords and larynx produces a whole range of growls, barks, howls and roars. This ability is unique to the howler species. Howler monkeys are slow-moving folivores. They spend most of the daylight hours relaxing in the trees. The rest of their time is shared between eating, travelling and grooming. They move quadrupedally along the tops of branches, using their hands and their long, strong tails. They live in groups of four or five. Occasionally there are more. One dominant male usually rules the troop. Howler monkeys do not have a specific breeding season, but females are only able to produce offspring every twenty-two months. One infant will be born as a result of the liaison, after a gestation period of six months. Most infants are weaned at one year, and reach maturity at five years (male) and approximately three and a half years (female). The species, brown howler monkey (Alouatta guariba), lives in forests in south-eastern Brazil and far north-eastern Argentina. There are two sub-species; today’s featured northern brown howler (Alouatta guariba guariba), listed as ‘critically endangered’, and the southern brown howler (Alouatta guariba clamitans) listed as ‘of least concern’. Sub-montane, montane and lowland forests. Brazil: The Northern brown howler is confined to a small area north of the Rio Jequitinhonha. The Jequitinhonha flows through the Brazilian state of Minas Gerais. Mature leaves, though younger leaves are preferred. Mature fruit is also an important part of the diet. And, they will also eat, buds, flowers, and nuts. Hunting and deforestation, hunting being the larger threat as they are ale to survive in small fragments of forest if they are left alone by hunters. They are both susceptible to, and carriers of, disease. The Northern brown howler (Alouatta guariba guariba), is listed on the IUCN Red List of Threatened Species as Critically Endangered. It has been on the critical list since 1996. It is also protected by Cites Appendix 11. Little over two hundred of the species still survive in the wild. I have been unable to find any record of Northern howler monkeys being kept in zoos, either in captive breeding programs or as an attraction.